Heeft u een vraag voor Shenzhen Giraffe Youth Hostel - Futian Port Branch? Gerenoveerd in 2013, garandeert het Shenzhen Giraffe Youth Hostel - Futian Port Branch gasten een plezierig verblijf in Shenzhen voor zaken of plezier. Op slechts 3.9 km gelegen vanaf het stadscentrum en 32.7 km van het vliegveld, trekt dit 2-sterren hotel jaarlijks vele reizigers. Een plezierige omgeving en de nabijheid van Advocate general merchandise Mall(jintian road), Xingwan and Shopping Plaza (new island), Shenzhen Maternity & Child Healthcare Hospital verschaffen dit hotel een bijzondere charme. Profiteer van de ongeëvenaarde dienstverlening en voorzieningen in dit hotel in Shenzhen. Het hotel biedt 24-uur roomservice, gratis wi-fi in alle kamers, snel in- en uitchecken, bagageopslag, wi-fi in openbare ruimtes om gasten een maximaal comfort te garanderen. Gasten kunnen kiezen uit 6 kamers, stuk voor stuk plezierig en comfortabel ingericht. Daarnaast garanderen de talrijke recreatieve mogelijkheden dat u zich tijdens uw verblijf kunt vermaken in het hotel. Met een ideale locatie en bijpassende faciliteiten, is het Shenzhen Giraffe Youth Hostel - Futian Port Branch voor veel gasten precies wat zij zoeken. 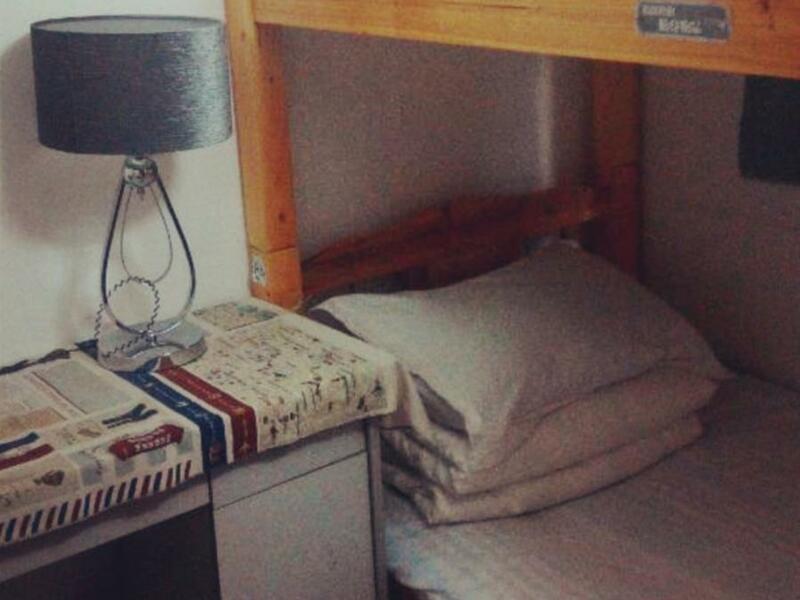 I picked this hostel because of its central location and extremely good value for money. Just outside of metro station exit B. I had to ask some locals for directions, because google maps gives wrong location. Owner is extremely helpful. Kind difficult to find the entrance of the building. I had to ask people in the street, the entrance is on in the main street but from backward. 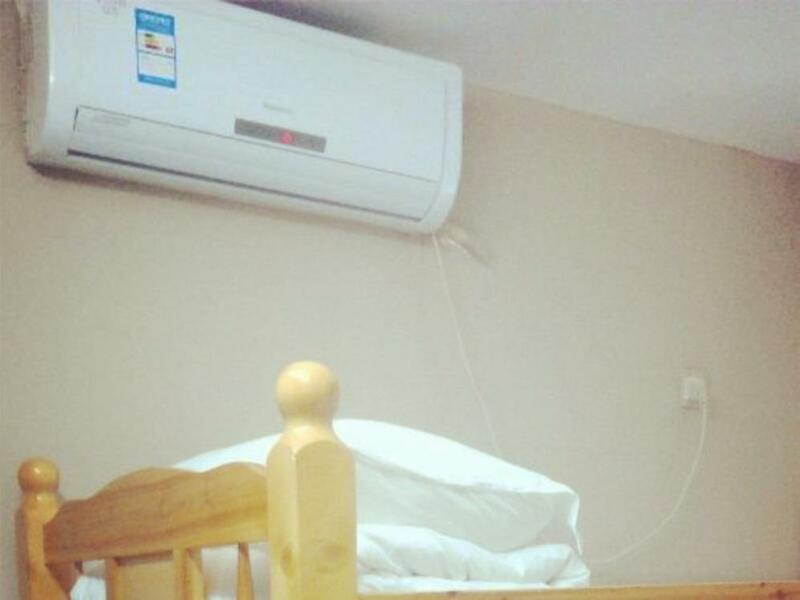 Room has air cond, but is quite small. The staff is amazingly helpful, I had an issue with my China cellphone sim, she did absolutely all she could to help, even walking in the strong rain, to bring to a shop to fix the issue. Thanks again. It was so hard to find this hostel. 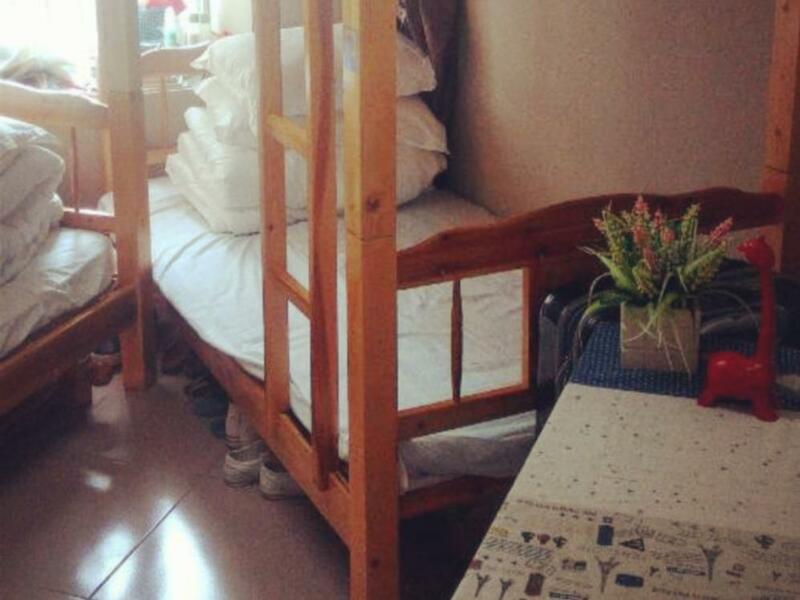 To find this hostel, it's better to bring the address written in Chinese characters. And ask people around you, they never speak English. The entrance of the building is back from main street. You have to call to the owner when you arrive at 16F. He was very kind and good facilities. 2 cats were so cute. The location is great, the entrance is from the back of the building. When I arrived, there was no one in. The hostel owner was not there, I called his mobile phone and he seems to have run out of credits. The place is OK, a local apartment carved into rooms and made into a hostel. Whether it has the government permits or not, I do not know. It certainly does not feel like an official YHA under the International Youth Hostel Association umbrella. I shared a room with two local guys who totally ignored me. The mattress is a thin straw thatched type. My pelvic bones did not agree with it. The duvet was warm enough though. English speaking though all of the other guests were Chinese, I would rate it around 6/10 good for a short stay and very close (1 min walk) to the subway. Hostel has cats also, though another guest made sure that they stayed outside of our room (as I am not fond of them). Would stay there again though facility cleanliness could definitely be better. price, location, and 16th floor. If you don't speak chinese, it was a little bit difficult to find this hostel because no name tag on the door, and no any thing at the entrance. Yet, once you find this place, it was really good location, and it was on the 16th foor for good view. It was just one of the apartment room at the building, so most rooms are for residence use. A sound like I was just staying at one of chinese home or apartment. Nice place, the place is not big, but very comfortable, warm staff. it was good..value for money specially for solo travellers. but the bed was not comfortable. The beds are the hardest I've ever known. It's literally softer to sleep on a carpeted concrete floor. It's quite difficult to find, being located in the laneway behind the street the address is listed at. If you don't speak Cantonese or mandarin, you're not going to be able to speak with staff. Good for overnight stay only. Apart from taking 2.5 hours to find it, it was ok.
J'ai pass2 un agreable moment ici, j'ai meme renouveler de 10 jours mon hebergement ici, le metro et les bus ne sont pas loin du tout. Il y a une belle piece VPN qui est un plus, les lits ne sont pas tres confortable mais on s'y habitue et pour le prix je trouve que c'est correct.